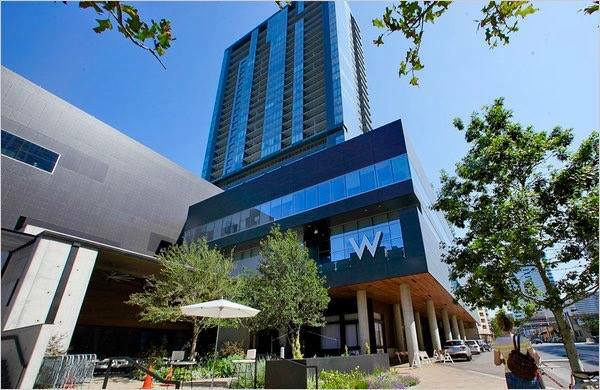 The W Austin is all about blending style and substance. Second best is never good enough. However, they were dealing with an issue of excessive heat and glare. They needed to address the problem without changing the look of the building. After weighing their options, we were honored when they chose Geoshield Architectural Window Film to help reduce the strong Texas heat and glare coming through their windows. Our latest generation of Geoshield window films enabled the W Hotel to block a significant amount of the heat and glare without changing the look of the glass. If you are in Austin, check out the windows at the W Hotel and book a room. There is no better place to stay! If you have questions about Geoshield’s architectural window film or for information on the other films we offer, call us at 800-234-6133 or email us at info@geoshieldusa.com. We look forward to hearing from you!